A glorious Technicolor epic that influenced generations of filmmakers, artists, and aspiring ballerinas, The Red Shoes intricately weaves backstage life with the thrill of performance. 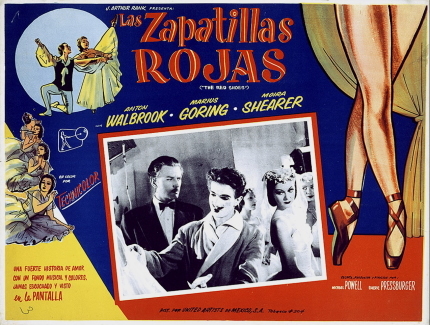 A young ballerina (Moira Shearer) is torn between two forces: the composer who loves her (Marius Goring), and the impresario determined to fashion her into a great dancer (Anton Walbrook). 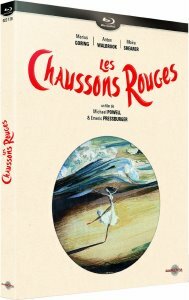 Les collaborateurs et proches des archers se souviennent du tournage, de la sortie du film et de son succès international. Thelma Schoonmaker-Powell, veuve de Michael Powell et monteuse de Martin Scorsese, évoque la fascination qu’exerce encore le film aujourd’hui. NOTE: These Blu-ray captures were taken directly from the Blu-ray disc and are linked to their 1920X1080 counterpart if you are interested to see. 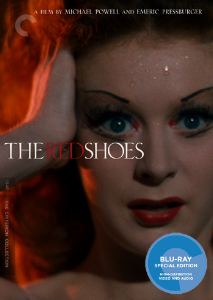 ADDITION: Carlotta - Region 'B' Blu-ray (November 11'): Carlotta in France have now released the Powell and Pressburger masterpiece The Red Shoes via a Blu-ray package. The box itself is beautiful - a slim three-tiered digi-pak inside a custom slipcase. 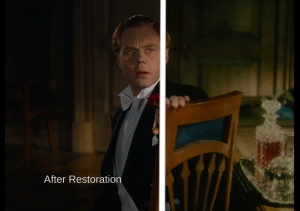 Technically the image transfer and bitrate roses above the ITV and shy of the Criterion - but from the same restoration - it looks equally as impressive. I can't see any significant differences with the Region 'A' and suspect only a very discerning eye would be able to. I think the Carlotta seems far closer to the Criterion than the ITV - in terms of color balance. 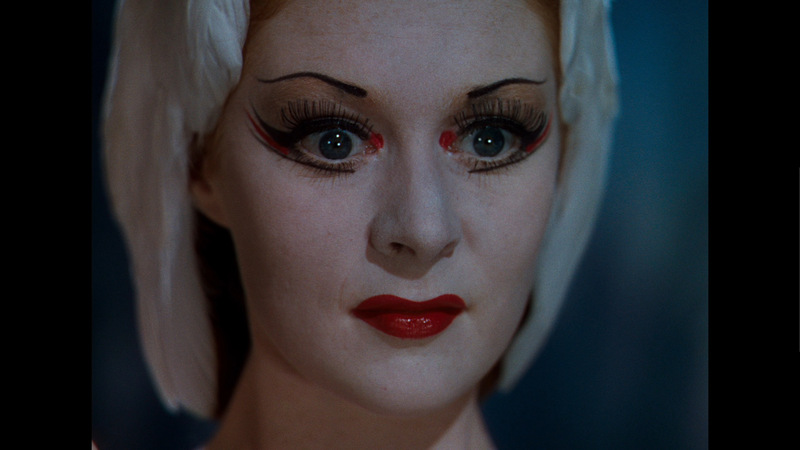 If given the opportunity to see segments of all three - without knowing the Blu-ray production - I might only be able to ring-fence the ITV with some color discrepancy (see David Hare's comments below) - the Criterion and Carlotta are that close, visually. 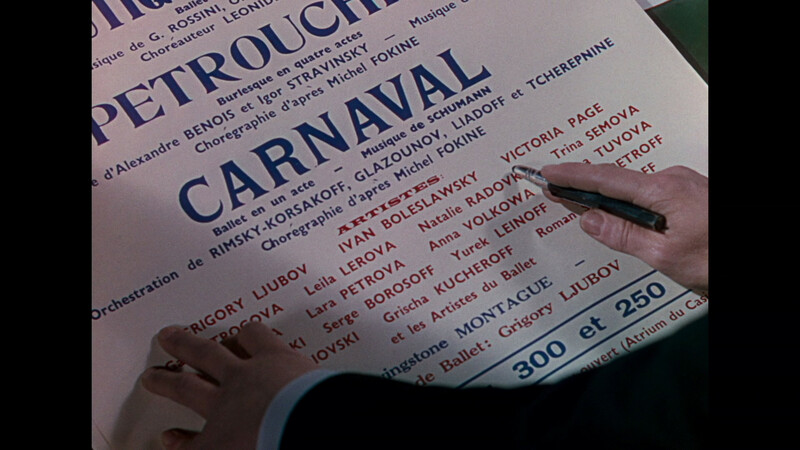 Like the other two Blu-rays, Carlotta have opted for a linear PCM audio track. 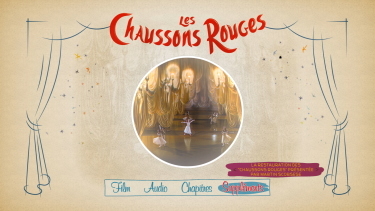 They stick with the original mono and also offer a lossless French DUB. I can identify no anomalies or weaknesses in the sound rendering. Depth might be a notch below but I didn't do direct samples to categorically state this as a certainty. 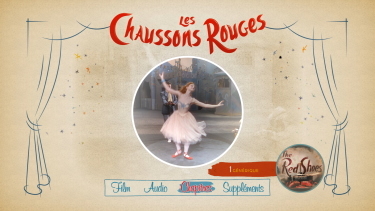 It offers optional French subtitles and although the menu does not give the option of ordinal English and no subtitles - they can be removed with the remote button. 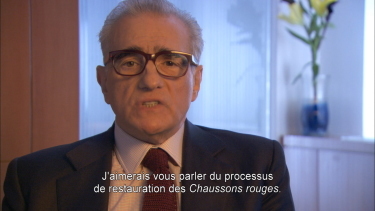 Supplements (non-English have French subtitles) have the same restoration discussion presented by Martin Scorsese which is an option before playing the feature as well as selectable via the extras menu. 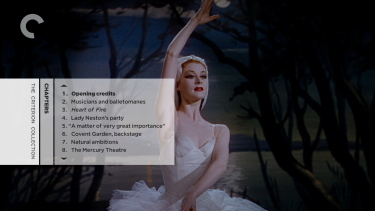 There is the 24-minute piece - "A Profile of The Red Shoes" documentary - found on the ITV Blu-ray - with collaborators close to The Archers production remembering the release of " The Red Shoes" and its international success. 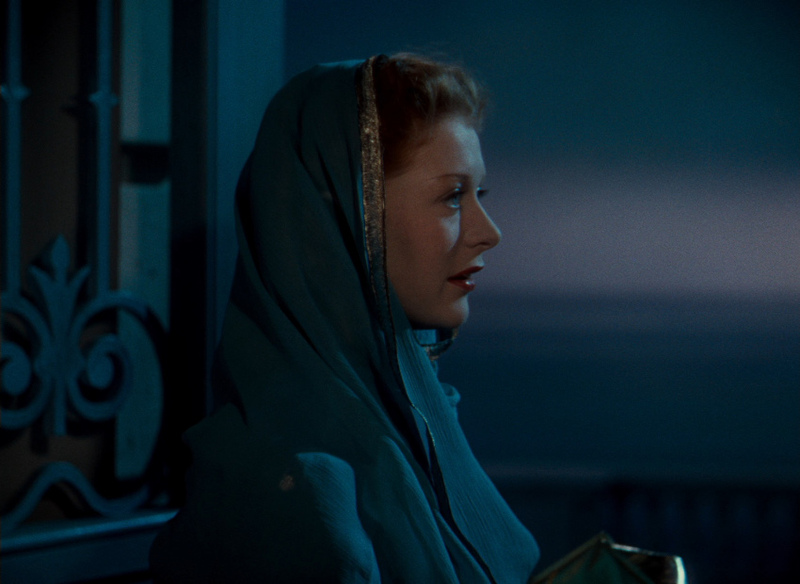 "Meet with Thelma Schoonmaker-Powell" runs only 7-minutes with the widow of Michael Powell as she talks about the fascination that still exists with the film to this very day. 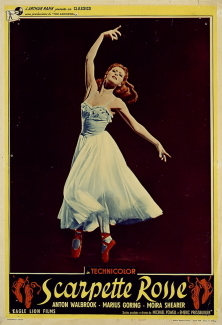 "The Blazing Ballet" runs over 1/2 an hour and follows a voyage, via slides ballet, with a principal dancer with The National Opera of Paris and Mathias Auclair (Chief preservationist with the Library-Museum of The Opera). There is also a trailer and Gallery Photographs. It doesn't have the Ian Christie commentary (Criterion) but it is nice to see some viable supplements. So... this is a great Blu-ray release. It has technical advantages over the ITV - and is French-friendly (if required) - plus some decent supplements and wonderful packaging. Actually for region 'B'ers this usurps the ITV 1080P release. 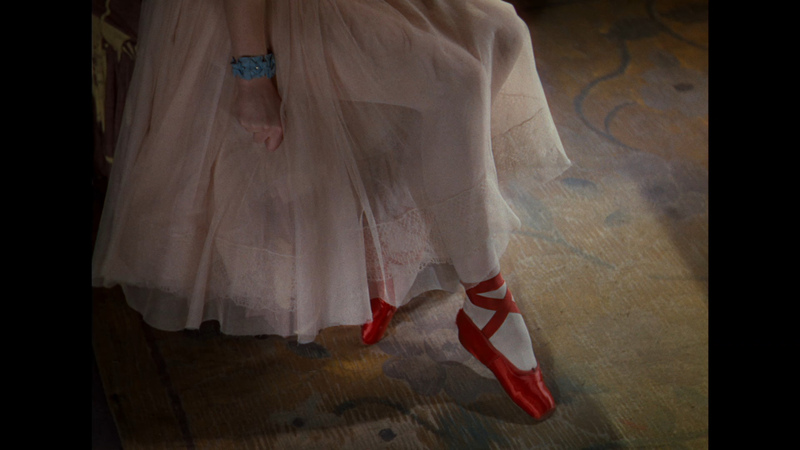 Personally, it was such a pleasure to see The Red Shoes yet again. Great job Carlotta! 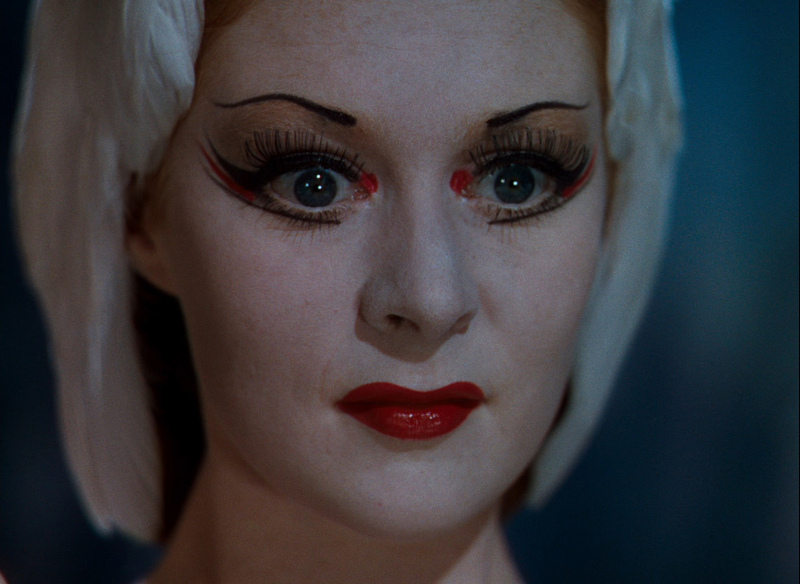 ADDITION: Criterion Blu-ray (June 10'): We all knew about the, digital, restoration - Scorsese - Cannes - and anticipated the Criterion re-release of The Red Shoes ... but in the new 1080P Blu-ray format. 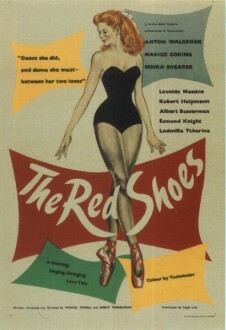 ITV in the UK beat them to the punch in an excellent region 'B'-locked edition but it would be almost a full year later that a Criterion package would become available to those region-locked to 'A', and the army of fans of both the distributor and the filmmaking team of Powell and Pressburger. It's here, and expectantly,... it is gorgeous. I wasn't anticipating extensive differences between this and the existing ITV transfer. I thought there would be more variance in the two Black Narcissus Blu-rays. And, frankly, the differences are quite subtle. I believe it is in the color representation - something so small that few people would complain about but the Criterion seems slightly less red (this is most notable in the skin tones - see Shearer with the heavy make-up later captures) and maybe minutely more blue. In many sequences it makes the ITV flesh tones more 'pink' and the Criterion more pale. Does this make the Criterion more accurate? I'm unsure... but looking at the technical stats the Criterion has more than a 50% superior video bitrate with the feature taking up more than 13 Gig of additional space. For most the color variances will be totally imperceptible. 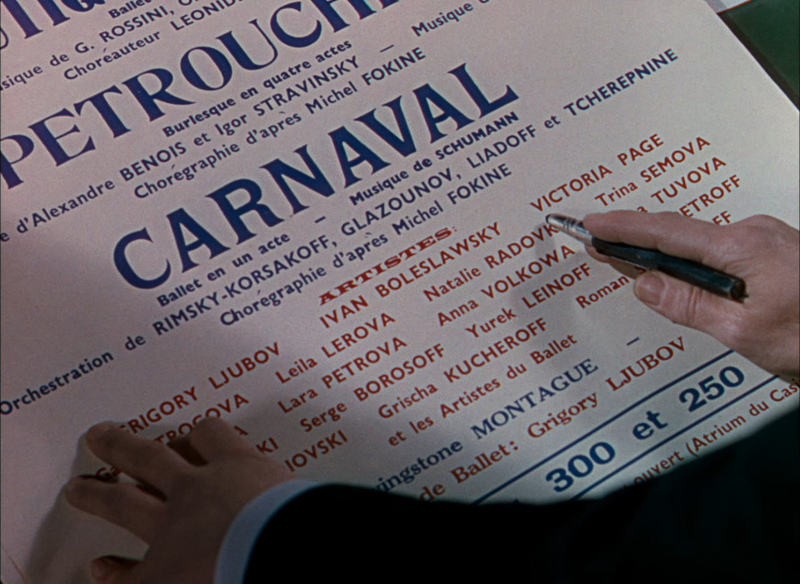 The Criterion is, in small ways, more detailed and has some desirable depth. 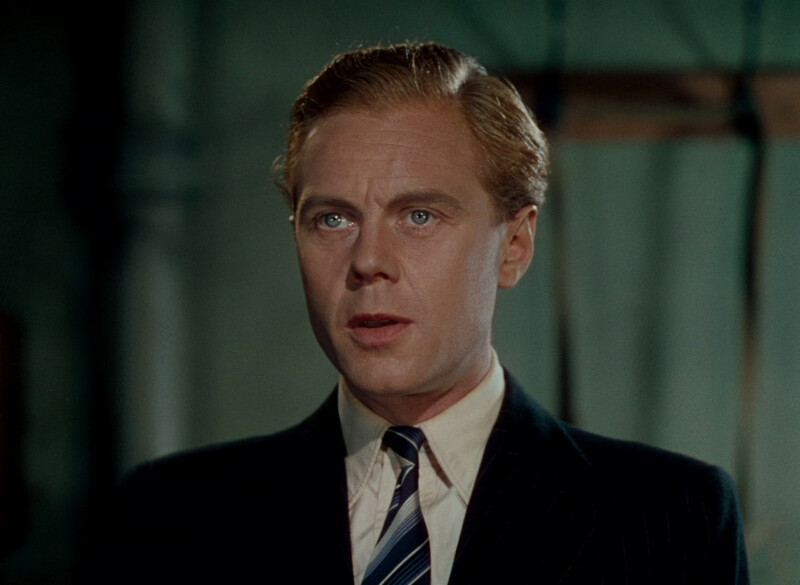 Without re-iterating much of the accolades of the ITV appearance as stated below - we can simply say that the Criterion, both technically and being visually apparent, is the best digital edition of one of the most ravishing looking films ever made. I thought that the ITV may be slightly horizontally stretched. It is something I wouldn't have noticed without a side-by-side comparison (or toggling back and forth between two Blu-ray players - as I did). But upon further investigation this doesn't appear to be true. There is a lot of parity between these two editions - visually speaking - but we do give the edge to the Criterion. This would be more prevalent the larger the system you see this on - if you project more than 100" and are a serious fan of the film - then you will probably notice more than someone with a more modest HD TV. Audio has no differences in the two lossless linear PCM tracks that I could pick-up on. 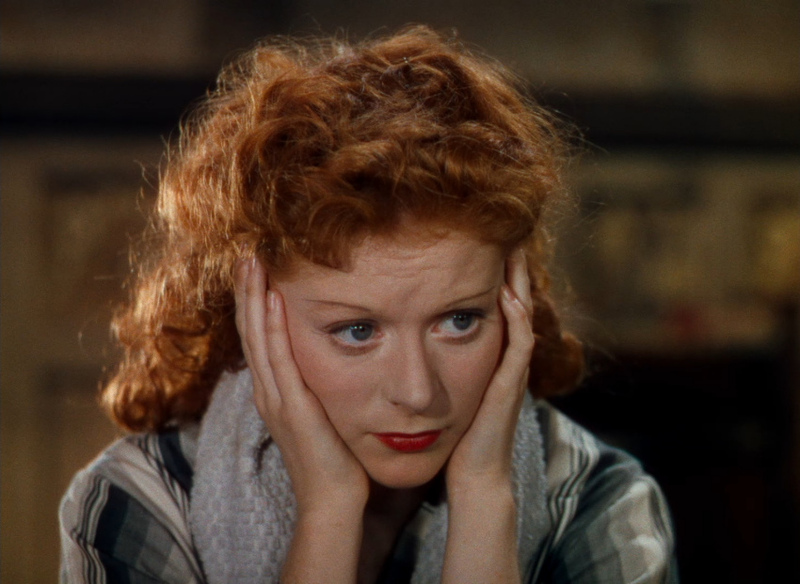 The Criterion is, more faithfully, 1.0 channel to the ITV's 2.0 stereo and purists will want the former. What is always amazing is the depth that the mono track can export. I'm always flabbergasted at the richness. The two separate Dolby Digital 1.0 channel tracks on the Criterion represent the Ian Christie commentary and the other is the audio recording of actor Jeremy Irons reading excerpts from Powell and Pressburger’s novelization of The Red Shoes which you may listen to as you watch the film. 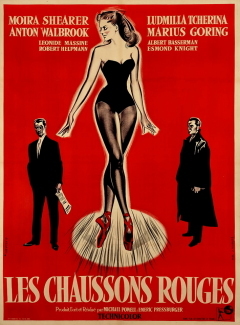 The Criterion has optional English subtitles and the Blu-ray disc is locked to region 'A'. One other note, while I remember, - this Criterion took the longest of any Blu-ray I own to load on my Oppo Digital BDP-83. It didn't require a firmware update so I have no idea why. 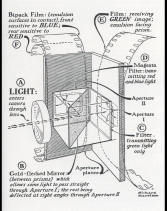 'Stacked' seems appropriate to describe the supplements on the Criterion - we get the 5-minute introductory restoration demonstration with filmmaker Martin Scorsese showing many split screen comparisons amongst discussion of the mold and color breathing. 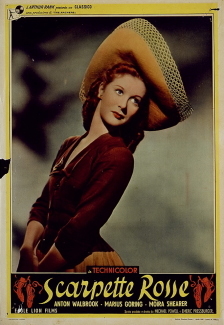 As most know the restoration was a major challenge undertaken in 2009 by the Film Foundation from the film's original three-strip Technicolor negatives - supervised by the UCLA Film and Television Archive. 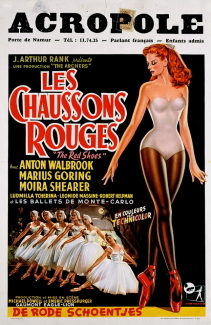 We get the same excellent audio commentary by film historian Ian Christie, featuring interviews with stars Marius Goring and Moira Shearer, cinematographer Jack Cardiff, composer Brian Easdale, and Scorsese... plus the duplicated The “Red Shoes” Sketches, an animated film of Hein Heckroth’s painted storyboards, with the Red Shoes ballet as an alternate angle as well as the interesting gallery of items from Scorsese’s personal collection of The Red Shoes memorabilia and the rare publicity stills and behind-the-scenes photos. 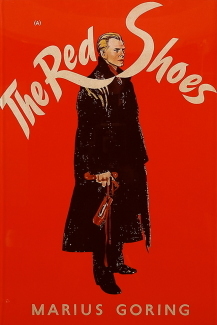 Excerpts of the aforementioned Jeremy Irons reading excerpts from Powell and Pressburger’s novelization of The Red Shoes which was also available on the 1999 DVD. 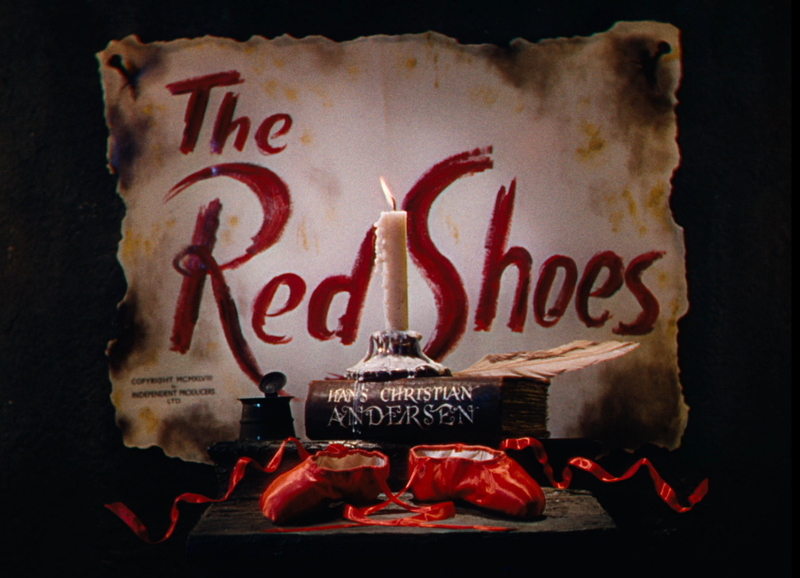 New for Criterion is a Profile of “The Red Shoes,” a documentary on the making of the film, featuring interviews with members of the production team also found on the ITV Blu-ray but here is in NTSC and in HD. 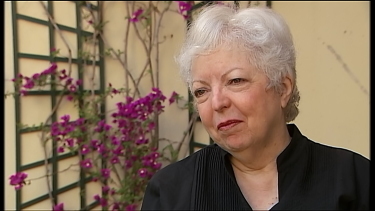 I could have listened to Thelma Schoonmaker Powell (Michael Powell’s widow) in the included 15-minute video interview from the 2009 Cannes Film Festival (also on the ITV), in which she discusses Powell, the film, and the restoration. 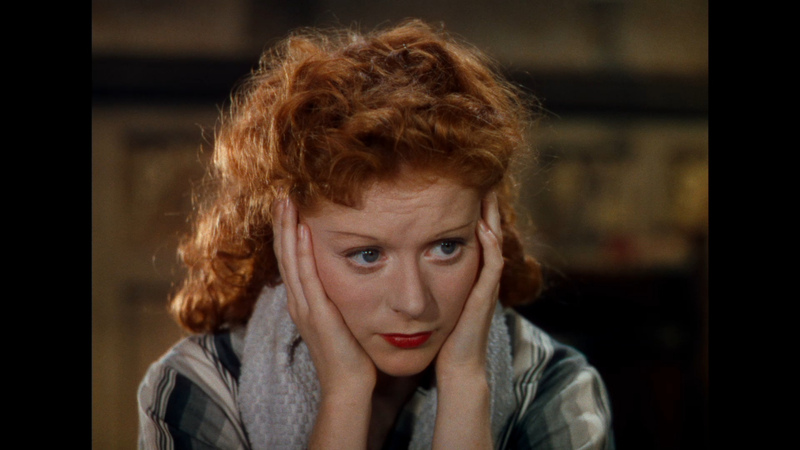 We get a 2.5 minute theatrical trailer also in HD (as are all video extras) and a 26-page liner notes booklet featuring an essay by critic David Ehrenstein and a description of the restoration by UCLA film archivist Robert Gitt. 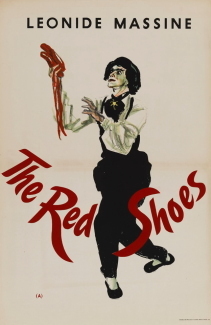 This, along with Black Narcissus, is another title that I feel every cinephile HD enthusiast should have in his/her digital library. 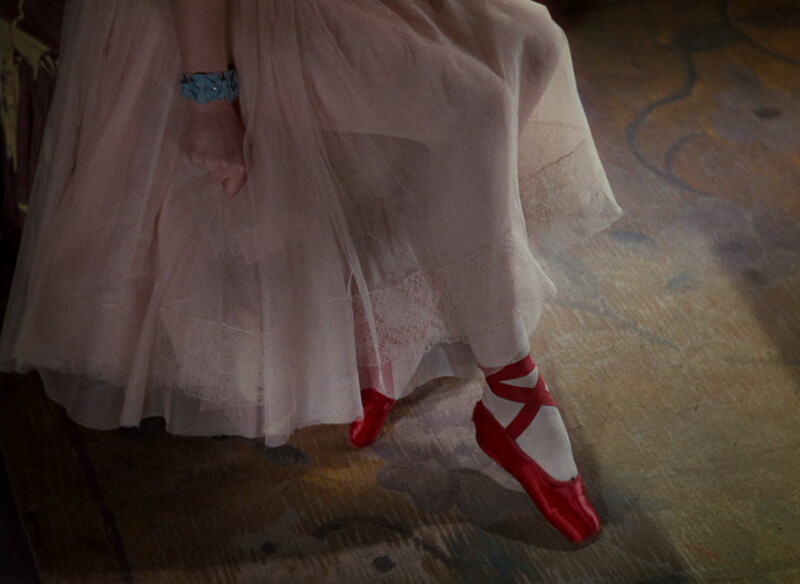 You really don't need Avatar but The Red Shoes is an absolute essential. Film very rarely reaches this level of beauty and timelessness. It wouldn't surprise me in the least if this was the Blu-ray of the Year 2010. It is totally deserving. ADDITION: ITV DVD Blu-ray July 09': Just to clarify a few things first - this Blu-ray is indeed region 'B'-locked as verified by my Momitsu. 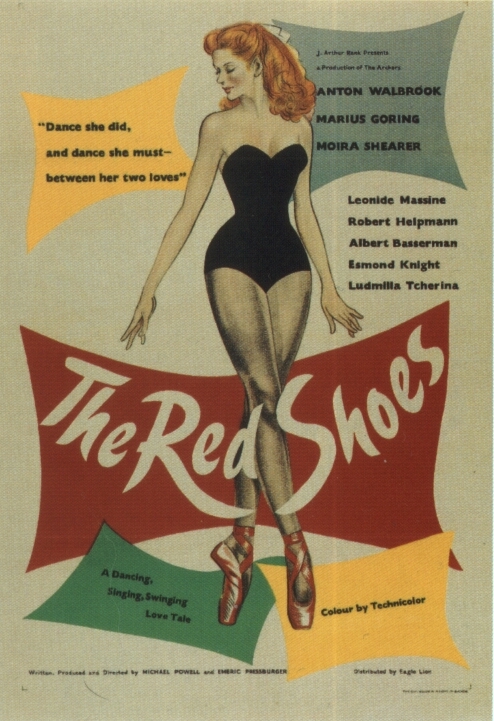 "On that subject I've been watching the ITV Red Shoes Blu-ray - the photochemical restoration of this is a glory and a testamentary labor of love by all involved. 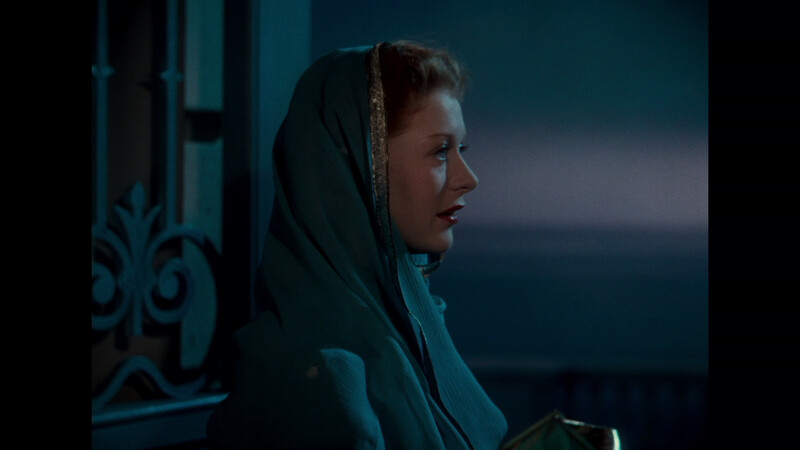 There are details that catch your eye that I don't remember seeing since 35mm screenings decades ago - one such is the scene of Vicki in Princess gown and turquoise tiara proceeding up the overgrown star is at Monte Carlo to go to the production meeting with Lermontov, in which Powell and Cardiff have obviously used a huge reflector panel behind the camera to cast a spot (within the actual daylight shooting conditions) just above Vicki's head to "guide" her up these mysterious stairs to her destiny. Details like this abound. The color blue in particular is extremely vibrant now and the transfer conveys something like real IB inky blacks and a huge tonal range of whites and grays. 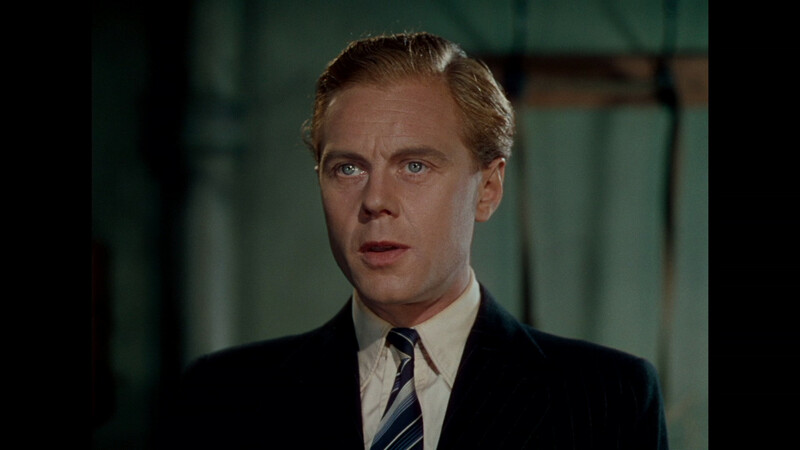 The three strip scanning has been meticulous and there is no trace of Technicolor (uneven YCM strip) "pulsing", and the image overall is spotless with not a visible scratch, tear, rip, speck. A couple of shots - which both follow complicated opticals look "soft" but return to sharpness with the next clean edit. The ITV package, if you can call it that, is less than brilliant. 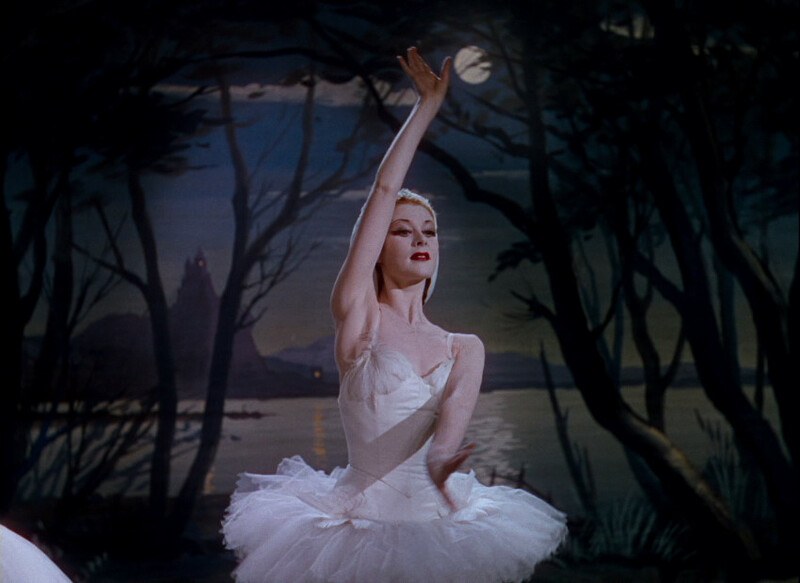 Far too few chapter stops for instance, and the ballet is only heralded by the Titles Booklet, without a further chapter at the opening curtain. 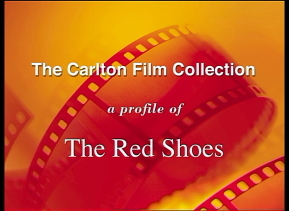 And the disc itself begins with an atrocious "trailer" reel for some VERY unrestored minor titles which would be of zero interest to Powell and Pressburger fans. But the movie's the thing..."
I would tend to agree, in general, with most of what David has said at this point, but will give further comments when I have 'lived' with the Blu-ray disc for a while (at least 1 more viewing). 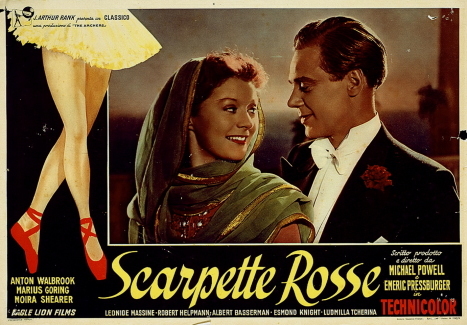 From Steve in email: "Your correspondent, David Hare refers to this latest restoration as a photochemical restoration. They did try that, but it didn't work. That's why it took so long and cost so much. They finally decided to do it digitally. 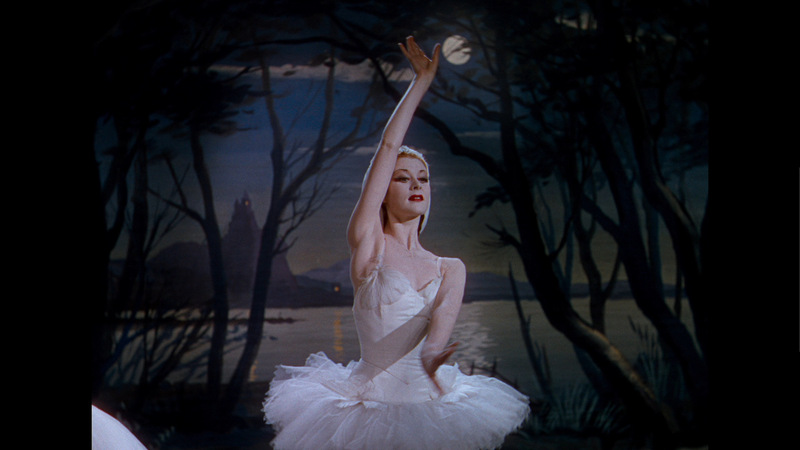 Digitising the original Technicolor negatives and the soundtrack at a very high level of accuracy (bit rate), much higher than that used by any Blu-ray or other HD system. 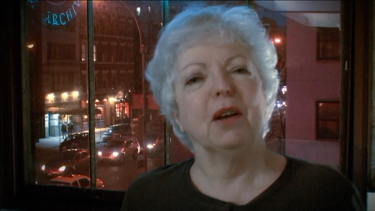 Thelma Schoonmaker has done a series of stills and short clips to show the damage to the original negatives. There was mould growing on them! They had also become mis-aligned as some of the three strips shrank at a different rate in different parts. There were scratches and other physical damage. 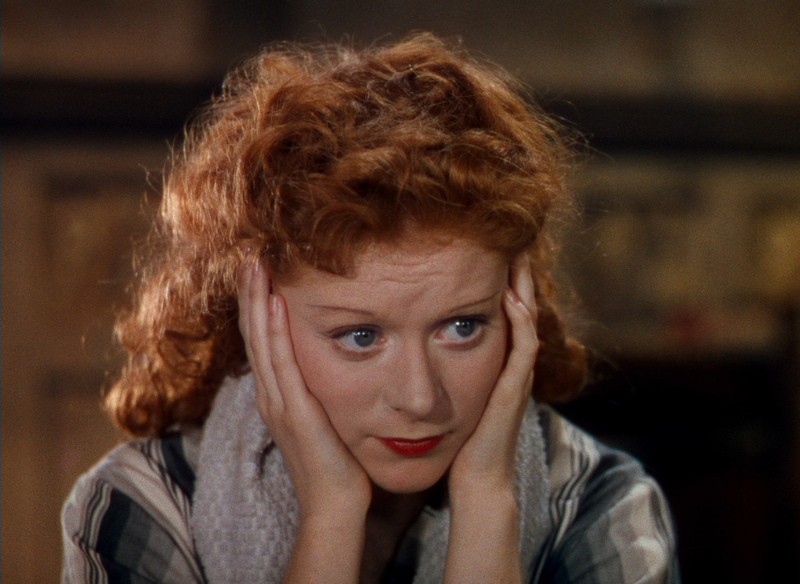 The soundtrack has also developed a few hisses, crackles and pops. 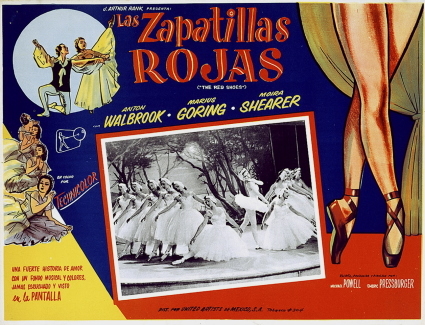 One of Thelma's examples shows one of the best prints that was previously available and then does a screen wipe to show the same scene after the restoration. 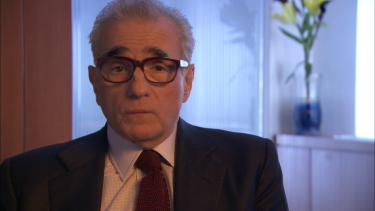 I saw it when Martin Scorsese premièred it at Cannes and I've just seen it again at the Bath Film Festival. It really is stunning. 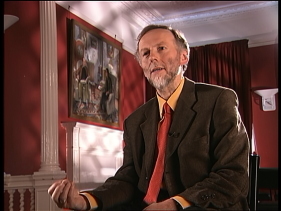 But I do agree with what David says about the light from the reflectors now being visible. 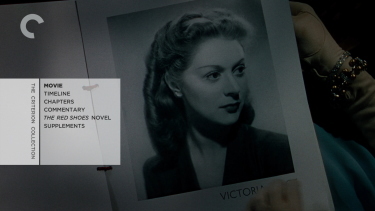 I noticed it at Bath and it's not a thing I had ever noticed before despite having seen the film many times. 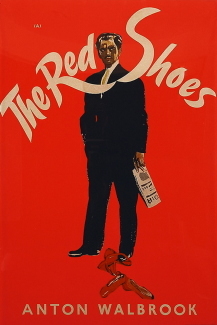 I have even seen the nitrate print (shown with firemen standing by). But this new restoration is far better than any of those." 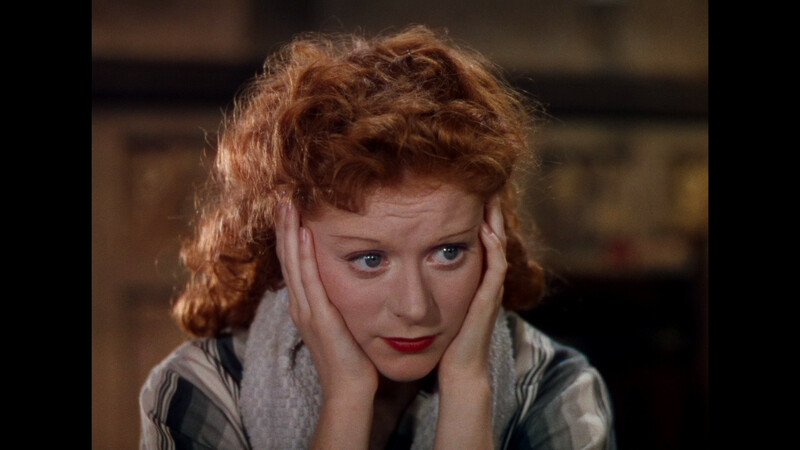 NOTE: I can concur with David in that the Dolby Digital 2 track audio is very slightly out of synch although the PCM track appears to be fine.